I had to add this last post before hitting the hay. 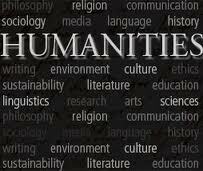 I just got home from my first Intro to Humanities class and I’ve fallen in love, yet again, with one of my classes. The professor described this class as “the history of art.” My ears perked up like my son’s lab whenever his name is called. I knew this class was going to be different when walking in we only heard old-time rock blazing. Afterwards, the professor went on to introduce himself and give us a little background on his history with Humanities. We also got the usual spiel about what our assignments would be, grading, attendance, etc. He showed us a few videos featuring “the world’s greatest educator” James Burke in which he describes our society’s dependence on technology and how our world would come to a screeching halt without it. In this video he describes the importance of the plow which was invented by the Egyptians. He continued to blow us away by all of the inventions that followed this discovery. As intrigued as I was by all of the above, the part that captured my attention the most brought me back to thinking about something I mentioned in my posting this morning about The Law of Attraction. To give you a little background about my desires, if you haven’t read them or know me personally, I want to be a writer. I mean I am a writer, however, I want to improve my writing skills and one of the exercises the professor gave us is intended to work on our proofreading skills and improve our writing! When I read that line in our syllabus I was thinking, “this is what I asked for and here it is!” Ask and you shall receive. Indeed. So I look forward to learning as much as I can and maybe sharing some with my readers as I go along. Any particular classes or experiences move you lately?